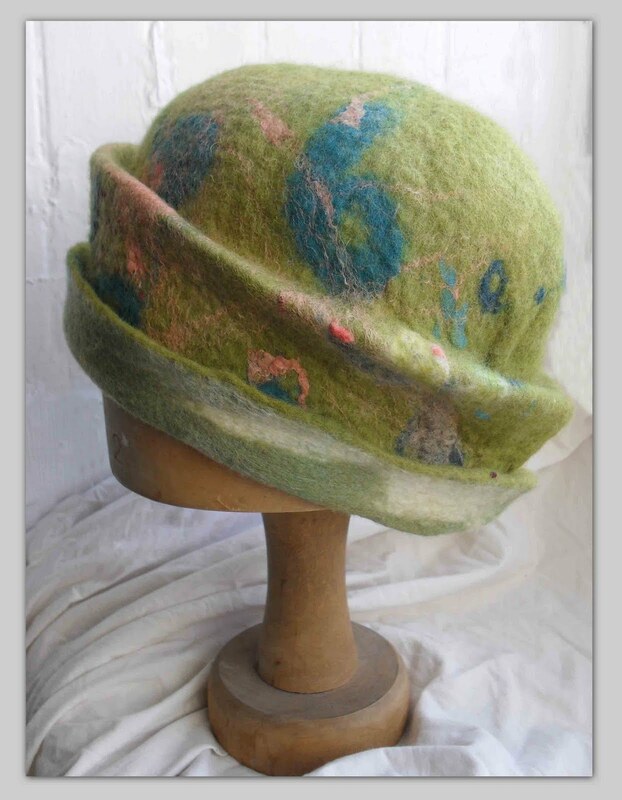 offers you a range of contemporary felted textiles and ornaments for home use or for you or your friends to wear. Each piece is unique. It will have been carefully hand-crafted from a range of luxury natural fibres, including cashmere, Merino, linen, silk and native Scottish wools. I use traditional hand-felting techniques which result in special qualities that would otherwise be unobtainable. My work is the result of over ten years experience in felting and I keep learning new techniques all the time. It is such a very versatile medium. My love for felt began many years ago at a time when I worked in North Wales looking after a flock of local sheep. New Zealand Maoris were employed every spring to shear the sheep. By the time they had left, the barn next to our house was overflowing with huge lovely fleeces. Much of it had no commercial value so I was able to experiment as much as I wanted and I eventually succeeded in producing some beautiful felt hats from this rough and uncarded wool. My two small children loved them. Later I went on several felting courses but mostly I taught myself how to work the felt, picking up different techniques from different people as I went along. I discovered how to add colour and texture to the wool and learned how to obtain layers of different patterns and interesting designs. Of course I hope that people who visit my site will buy some of my handmade felt, but I also hope my work will inspire others to try this ancient craft for themselves and begin their own creative journey . . .